Emma is a Chartered and Registered Occupational Psychologist, Senior Lecturer and Head of the Wellbeing at Work, Kingston (WWK) Research Group. Emma's research focuses on the relationship between strategies for dealing with work email, and well-being, goal-achievement and personality. This research has been funded by the ESRC, University of Surrey, Richard Benjamin Trust, NHS, the private sector, and ACAS. 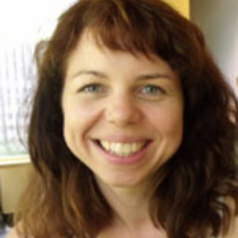 Her research has been published in academic journals, conference proceedings, practitioner publications and the broader media.Emma's ethos is to encourage a collaborative research approach with end-users, academics, practitioners and policy makers - working together to improve knowledge, wellbeing and performance.